Summary from Goodreads: In the last months of the Nazi occupation of Poland, two children are left by their father and stepmother to find safety in a dense forest. 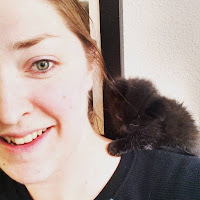 Because their real names will reveal their Jewishness, they are renamed "Hansel" and "Gretel." They wander in the woods until they are taken in by Magda, an eccentric and stubborn old woman called "witch" by the nearby villagers. Magda is determined to save them, even as a German officer arrives in the village with his own plans for the children. Combining classic themes of fairy tales and war literature, this haunting novel of journey and survival, of redemption and memory, powerfully depicts how war is experienced by families and especially by children, and tells a resonant, riveting story. Review: This was another book recommended to my by a friend and another great read. My friend is now 2 for 2. 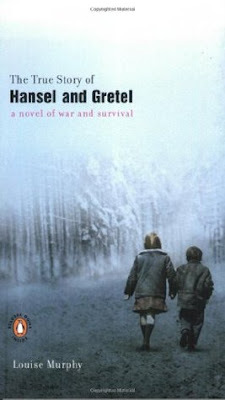 In this touching world war two fiction, we follow the lives of two young children who are forced to change their names to Hansel and Gretel so the Germans wont kill them for being Jews. There are so many characters in this book who help the children, hiding them from the Nazis. I was kept on the edge of my seat the whole time I was reading this book. You feel for the characters and cringe at the atrocities they had to go through during the war. Even though this is a fictional story, it sad to think that these kinds of things actually went on. The only thing I have to complain about is that at the end of the story, when the children can't remember their real names and they have the chance to learn them, the author doesn't tell you what they are. You only know that they learned them. WHAT ARE THEIR NAMES!? I want to know. Ahh! This story was so touching, I gave it four stars.